Tired of the same old fries, than fancy them up. 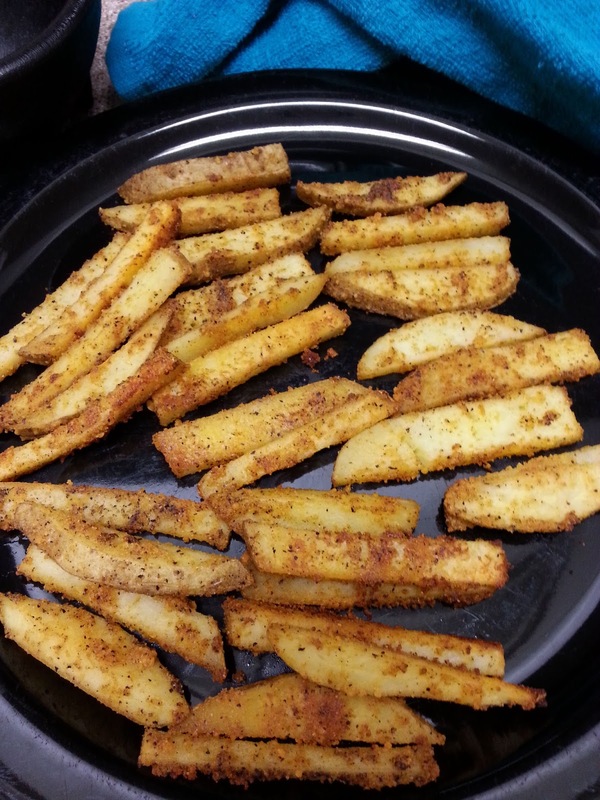 You'll love our Baked Parmesan French Fries, a lot of flavor. Peel potatoes and cut half inch slices lengthwise, than cut into 1/2 inch thick fries. Place potatoes in a bowl, add olive oil and remaining ingredients except parmesan cheese. Toss well, and place on a sheet pan in a single layer. Bake until golden brown. When golden brown, carefully remove sheet pan from oven and sprinkle parmesan cheese, continue to cook until cheese melted, about 5 minutes. Let cool about 2 minutes, and serve. I love this! Yummmy, yummmy, yummmy!! !